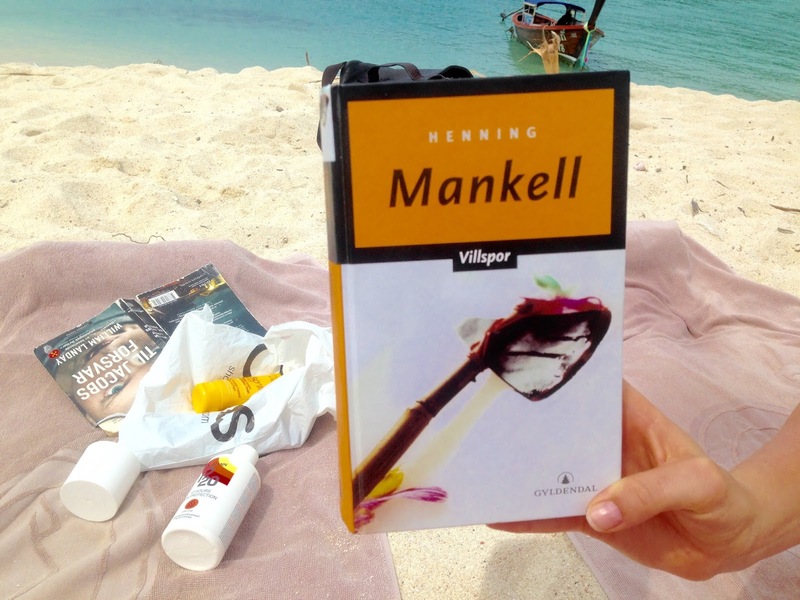 She is reading Villspor, by the Swedish crime writer, Henning Mankell. She is from Norway and is an engineering student. This is the first fiction she's read in a long time. Her mother gave it to her to read on vacation. I think the English translation of the book is titled Sidetracked.